On Wings of Eagles: Will You Let God Use You to Help Others? Will You Let God Use You to Help Others? If the American dream means starting with nothing and accumulating great wealth and assets, then Millard Fuller's story qualifies. But when Millard's dream turned into a nightmare, he decided it was time to redefine his vision. By the age of thirty, he had earned a million dollars, had the ambition to make $10 million, and possessed the skills and resources to do it. He had a luxurious home, a cabin on a lake, 2,000 acres of land, speed boats, and luxury cars. He also had chest pains and a wife and two young children who seldom saw him because he was always working. His empire was rising, but his marriage and family were crumbling. It happens to thousands of men and women driven in the pursuit of wealth and power. Millard was the one-in-a-million millionaire who had the courage to make a change. The heart attack hit unexpectedly one day at the office. Not the kind of attack that involves clots and arteries but the kind where grief and regret suddenly flood into your life and your heart metaphorically stands still. It was the day Millard's wife, Linda, announced that she no longer felt she had a husband, that she wasn't sure she loved him anymore, and that she was going to New York City to confer with a minister. Millard was stunned. He had given her everything money could buy. How could Linda not love him? "The week that followed was the loneliest, most agonizing time in my life," Millard remembered. He began to realize that building his business had cost him everything he truly cared about. This realization was driven home when he watched a movie one night with the line "a planned life can only be endured." A planned life-that's exactly what he was living. But he'd forgotten to include a meaningful purpose in his plan. He called Linda and begged her to see him. She reluctantly agreed and he immediately caught a plane to meet her in New York. The next few days were filled with tears, an outpouring of their hearts, and a commitment to rebuild their lives cm something that mattered. "We both felt a strong sense of God's presence as we talked about the future," Millard explained. "We felt God was calling us to a new way of living." To prepare for this new life, whatever it was, Linda and Millard felt it necessary to get rid of the very things they had allowed to come between them and God in the first place-their business and their material possessions. They sold everything-the business, the houses, the boats­and donated the proceeds to churches, colleges, and charities. Millard's friends thought he had gone crazy, but Millard had never felt more sane. He was already feeling better. But what to do next? The answer came during a visit with Clarence Jordan. A theologian in overalls, Clarence had started a Christian community called Koinonia near the small southwest Georgia town of Atnericus, 140 miles south of Atlanta. Clarence showed Millard the dilapidated shacks that lined the dirt roads of the surrounding countryside. These shanties, which often leaked and lacked heat and plumbing, were homes to hundreds of impoverished families, a scene duplicated countless times throughout the United States and beyond, since 25 percent of the world's population, or 1.38 billion people, live in substandard housing or have no homes at all. As an expression of their Christian faith, Millard, Clarence, and several co-workers began to build houses for these needy people, one or two at first, then more and more. Sadly, Clarence Jordan died suddenly of a heart attack while the first house was under construction. Millard and his co-workers continued building for four and a half more years in Koinonia. Moved by the powerful impact that simple but decent houses had on the families that received them, Millard wanted to see if the concepts pioneered in south Georgia would be applicable in other parts of the world. Millard and Linda traveled to Zaire, in central Africa, and in partnership with the Regional Organization of the Protestant Church, successfully built homes throughout the country for three years. 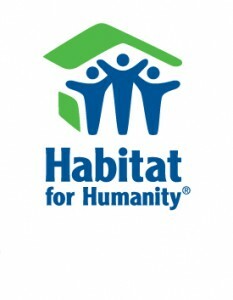 Convinced that they had a concept that would work worldwide, they returned to Georgia in 1976 and Millard launched Habitat for Humanity International. Millard once had a goal to make $10 million. Now he had a new goal. Could he dare believe he could build houses for 10 million people? Why not? Why not more? Millard and Linda saw their mission as a basic, universal truth: "Everyone who gets sleepy at night should have at the very least, a simple, decent, affordable place to lay their heads." Millard believes providing homes is "elemental goodness and love in action-the very essence of true religion." Would never work." But Habitat does work. It provides individuals who have inadequate housing and modest income an opportunity, for the first time, to purchase homes with payments they can afford. To build new homes, Habitat for Humanity relies heavily on volunteers, most of whom have no experience in construction. Cash and materials are donated by various organizations, corporations, and churches. People from all walks of life give their time and skills for free. Yet Habitat is not a charity. The families who benefit from the housing also provide hundreds of hours of sweat equity, building their own homes and the homes of their neighbors. When the new homeowners make the payments on their no-­interest, no-profit mortgages, Habitat uses the money to build more homes. Why have so many people and organizations freely given of themselves to this cause? One reason is that the results are so tangible So often the world's needs seem too great for one person to make a difference. With Habitat, volunteers work side-by-side with the new homeowners to be. When the house is complete, everyone shares in the pride and joy of the new homeowners. Habitat for Humanity's goal is to eliminate poverty housing and homelessness everywhere. "I have found that the boldness of goals stirs people, and each year we are amazed at the miracles that come from such boldness," said Millard. With Millard's bold plan, Habitat has already built more than 60,000 houses around the world, providing over 300,000 people with safe, decent, affordable shelter. Habitat for Humanity International has more than 1,400 local affiliates located in all fifty states and more than 250 international affiliates. Habitat coordinates some 800 building programs in fifty-one foreign countries. But Habitat for Humanity builds more than houses-it builds families, communities, and hope. "Home ownership is often the first step upward in a family and it can break the cycle of despair and futility," explained Millard. "It's reclaimed neighborhoods from drug dealers and squalor with houses that have withstood hurricanes, earthquakes, and floods." Habitat for Humanity also brings together people from all economic, religious, social, and racial groups. Almost everyone in the United States has seen pictures of former President Jimmy Carter and First Lady Rosalyn Carter decked out in overalls, hammering nails and sawing lumber in the noonday sun. Millard got their support simply by asking them. "I submitted fifteen proposals to the President, hoping he'd agree to at least one or two," Millard said. "To my delight, President Carter agreed to them all." The Carters are only two of many eminent figures who have joined the cause, lending time, money, and support to Habitat. Hundreds of thousands of other volunteers, eminent in deed only, spend endless hours clearing rubble, hanging drywall, and painting. By the end of the century, Habitat for Humanity will be the largest home builder in the world in terms of the number of homes built. A11 the mortar and bricks that go into a Habitat house build not just a home, but new lives. It a11 began because one man and one woman were willing to discard their material riches for something better. Millard and Linda now believe they are two of the richest people alive. Dear Lord we thank You for the gifts and skills You give each one of us. We pray that we would make it part of our life to use those gifts to reach out to other in Your love. In Jesus’ name, amen. Are You Judgmental or Focusing On Jesus? Are You Living Your Life With Intent? Are You Visualizing What God Wants You to Do? Are You seeking God's Plan? Tomorrow is Thanksgiving Day, Give Thanks. The Goal or The Journey? What Brings Bliss to Your Life? What are Your Eyes focused On? Are You Aiming to Low? He Holds it All in the Palm of His Hand. Riding a Bull and a Life Lesson. Are You going to Give Up? Or Press On? Do You Have a Way Out of the Pit?